Approximate Dimensions: Exterior - 13" W X 8.5" H X 5" D; Interior - 13" W X 7" H X 5" D; Handle Drop - 9". Classic elegance and sophisticated style of this MG Collection LERYN office tote is the perfect way to bring an effortlessly-put-together vibe to any outfit. Thanks to the classic diamond pattern quilted onto this shoulder bag's synthetic PU leather, the timeless fashion satchel adds an air of refinement and stylishness that is sure to dress up everything from the professional attire to a casual jeans-and-top combo. Of course, this top double handle handbag is more than just a chic fashion statement. Beneath this hobo bag's shiny exterior, the zippered top closure lays a roomy and fabric-lined interior that comes complete with 2 compartments separated by 1 zippered pouch-style partition through the center, plus 2 open-top pockets on one wall and 1 zippered pouch on the other. Slip the 2 sturdy top handles chain-link shoulder strap of this tote bag onto a shoulder, and you've got a stylish accessory for any day and any occasion. 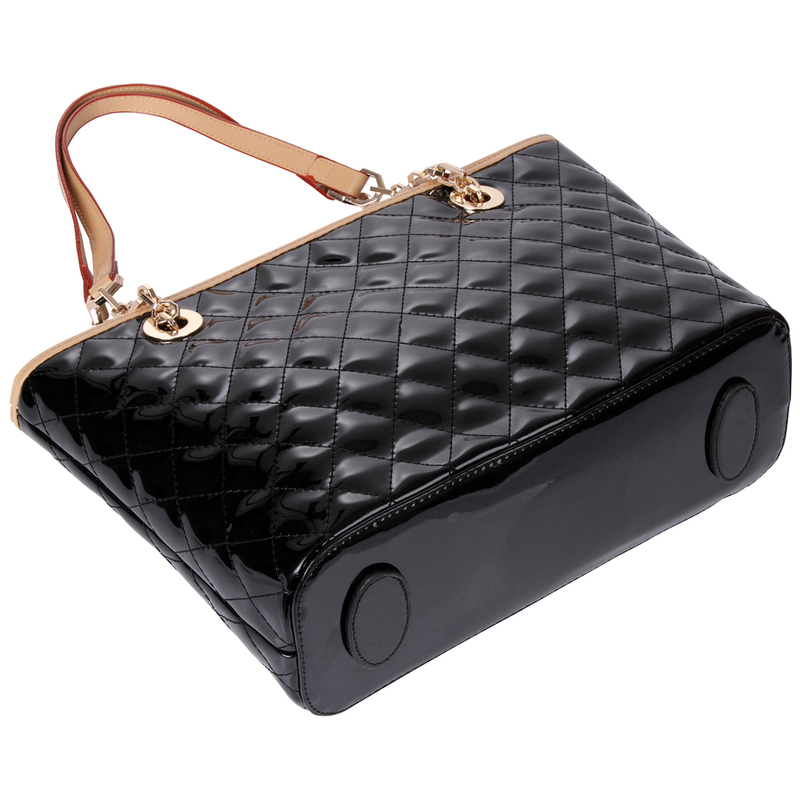 With this sleek and chic handbag purse at your side, style and elegance will never be far away.